Home How To How to Unlock Unitel Angolan E586 3G Huawei WiFi Mobile Router? How to Unlock Unitel Angolan E586 3G Huawei WiFi Mobile Router? If you are an owner of Unitel Angolan E586 Huawei WiFi Mobile Router then you have come on nice place to unlock. Unitel E586 comes with un-customized firmware and there is no need to change the firmware. How to Unlock Unitel Angolan E586 Huawei WiFi Mobile Router? 1. Make sure your Unitel Angolan E586 Huawei WiFi Mobile Router is fully charged. 2. Just insert a nonacceptable Network SIM card on your Unitel E586 router (You have to use other than Unitel SIM card). 3. After changing the another network providers sim on your Unitel E586, switch ON the device. It will display “Invalid SIM” because you have used another network providers SIM. 4. Now just establish a WiFi connection to Unitel Angolan E586 Huawei WiFi Mobile router with your PC / IPAD / IPHONE / Android device. 5. Connect your Unitel E586 Huawei WiFi pocket router with PC and browse for 192.168.1.1 and login to the device’s dashboard. Go to Advanced Settings – SIM Settings – Unlock Device – Enter Unlock Code – Click on Apply. Open your Settings – Dial-up – Unlock SIM card – Enter 8 digits unlock code in your Unitel Angolan E586 Huawei WiFi mobile router. Click OK and the device will reboot to display the new network. Now your Unitel Angolan E586 Huawei WiFi MiFi Router is unlocked forever. Note: Don’t try to insert wrong or free codes into your Unitel Angolan E586 Huawei WiFi Mobile router, otherwise it will be locked permanently. Previous articleHow to Unlock Italy Huawei E587 WiFi 3 / Tre / Three Router? Next articleHow to Unlock Uzbekistan Beeline E188 Huawei Dongle? 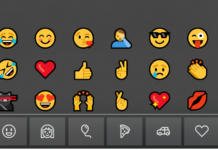 How to Use Emojis in Files and Folders Names in Windows 10? How to Repair Corrupted Recycle Bin in Windows 10? How to Unlock ZTE ZMax Pro? How to Unlock ZTE Blade V7 Lite? How to Unlock LG Optimus 4X HD P880 with NCK?